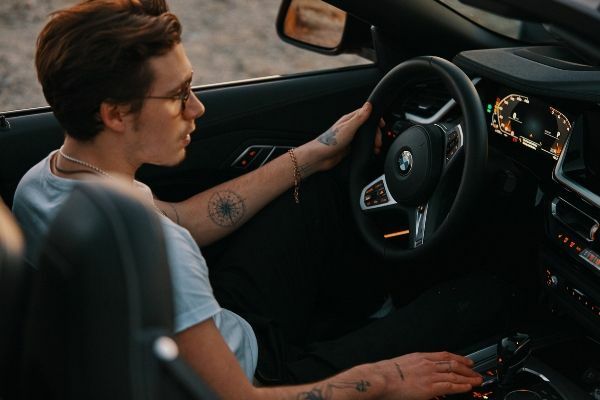 He loves analogue black-and-white photography and tattoos – clearly, Brooklyn Beckham is as difficult to pigeonhole as the new BMW Z4, which combines the classic vehicle concept of the roadster with cutting-edge technology. And there’s one thing the two particularly have in common: they are always keen to cause a stir. 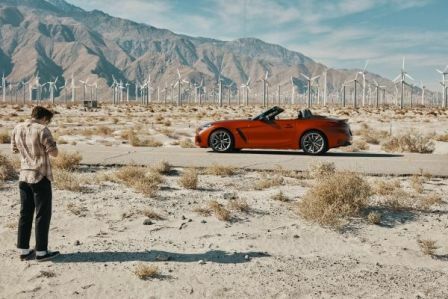 BMW brought them together in Coachella Valley near Palm Springs in Southern California: the young, up-and-coming photographer and the two-seater convertible that has now thrilled fans of open-top driving for several months. The photo shoot in the Southern Californian desert was the first official stage of a long-term collaboration which aims to tap into new perspectives on current BMW models. Already attracting a growing international fan community, Brooklyn Beckham captures his motifs authentically through the eyes of the young generation, in the individual style of a constantly inquisitive, ambitious artist with an enthusiasm for automobiles. A few months later, the unconventional artist and the distinctive model came together again for the first project as part of the collaboration with BMW. The assignment was likewise unique: Brooklyn Beckham was to use the shoot not only to portray the BMW Z4 but himself as well. The photographer: Starting out in the world of photography, undertaking his own shoots while interning for established names such as Nick Knight he currently has some 12 million followers on Instagram. The model: The BMW Z4 was first launched in 2002, the third model generation has been on the market since the end of 2018. Powerful 4-cylinder and 6-cylinder in-line engines make the two-seater an open-top sports car. 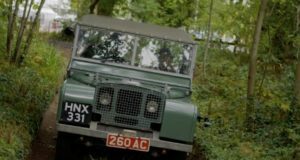 The modern interpretation of the roadster features a classic soft top as well as cutting-edge technology in the areas of operation and connectivity.